Looking for a fun and easy way to teach your kids how to stay safe during an earthquake? Tummy Rumble Quake by Heather L. Beal can help with that. Ms. Mandy is preparing for The Great Shakeout™. When Niko asks her about it, he and his class are treated to a run down on how to prepare and stay safe during an earthquake. 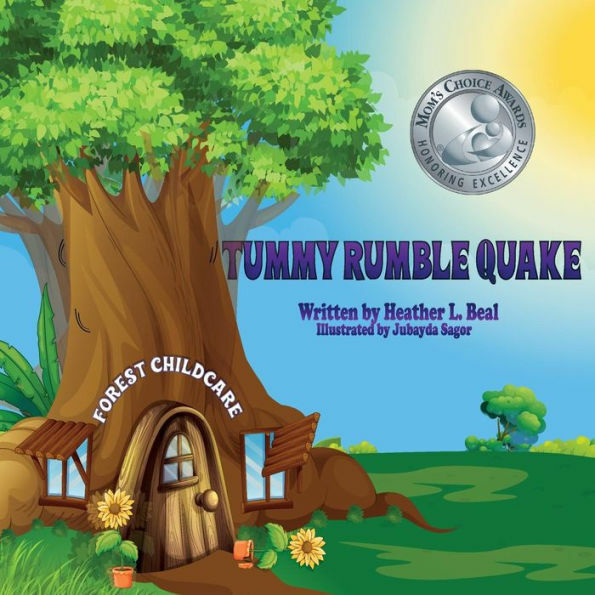 Tummy Rumble Quake by Heather L. Beal is going to be a helpful and fun way for children to learn how to prepare and stay safe during an earthquake. Ms. Mandy teaches her students what an earthquake is and all about drop, cover and hold techniques to be used inside, outside and in a car. The best part of this book is that this information is shared without scaring children. The characters are animals. They are in the safety of their classroom with a respected caregiver who speaks to them calmly and answers their questions. It was also wise for Beal to end the story on a light note. The illustrations by Jubayda Sagor were charming and whimsical, also lightening what can be a scary topic for youngsters. It’s no wonder this book is a Mom’s Choice Award Winner. If you’re looking to teach your children about earthquake preparations and safety, Tummy Rumble Quake by Heather L. Beal will be a great resource for you. Don’t be surprised if your kids ask to read it more than once. These fun characters will draw them in and, for them, the learning will be secondary to enjoying a great story.